The Suntrup family have been servicing and selling cars since 1957 for the St Louis area. Bill Suntrup started the first dealership in the 1960s and a decade later his brother, Don Suntrup, began working in the automotive business. From there, the family involvement in the industry blossomed. Among the grown children of both Bill and Don, there are more than 20 additional family members employed in the Suntrup Automotive Group. Bill’s children, Chris and Tom are partners in Suntrup West County Volvo and Tom is President and CEO of Suntrup Ford Kirkwood, Suntrup Buick GMC in St. Peters and Suntrup Ford Westport. From before you even walk into our showroom to long after you drive home, all of our customers here at Suntrup Kia South are customers for life. Being car-owners ourselves, it’s only fitting that we’d provide our drivers with the kind of courtesy, service and respect that we would expect. It all starts with our extensive lineup of fabulous new and used Kia models. Whether you’re looking for something for the whole family to enjoy or something to spice up your daily commute, the world is your oyster when you consider the lineup of vehicles we carry. And thanks to the car loan and Kia lease options that are available throughout the year, it’s never been easier to get behind the wheel on your terms. From there, the experts in our car service and maintenance department will be there to make sure that your vehicle will continue to run as smoothly as it did on Day One. Or if you’re looking do some upgrades with the latest and greatest Kia parts on the market, you can trust the experts at Suntrup Kia South cover your automotive needs. 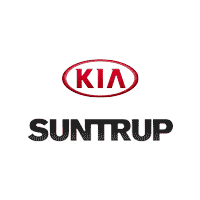 The service never stops once you visit us here at Suntrup Kia South. There’s never been a better time to drop on by at our dealership here in 6263 S Lindbergh Blvd, St. Louis, Missouri, proudly serving drivers from Kirkwood, Webster Groves, Affton and Arnold. We’re very much looking forward to it.